One of our most popular Semihandmade IKEA™ door styles is the DIY Shaker – clients purchase high-quality Shaker doors and panels from us and either paint them themselves or have them sprayed professionally (what we suggest). How else to get exactly the color you want! 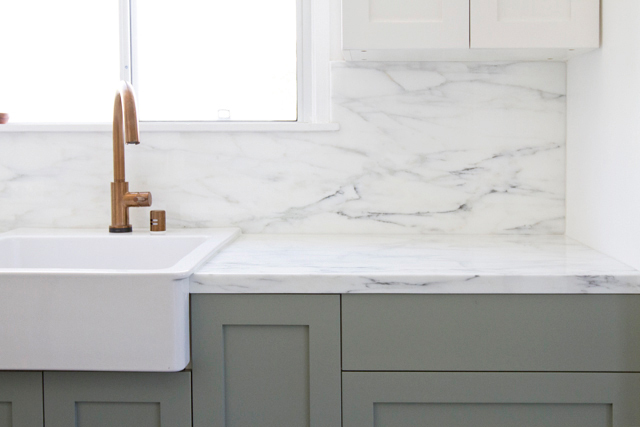 In a recent Remodelista article, Sarah Sherman Samuel of Smitten Studio — one of the hottest design firms in Los Angeles — talks about her experience remodeling her kitchen using those same Semihandmade DIY Shaker doors for her IKEA™ kitchen cabinets. This entry was posted in Uncategorized and tagged IKEA, Remodelista, Sarah Samuel, Semihandmade, Semihandmade doors, Semihandmade IKEA, Semihandmade IKEA Kitchen, Semihandmade Shaker doors, Shaker, Smitten Studio by Semihandmade. Bookmark the permalink.